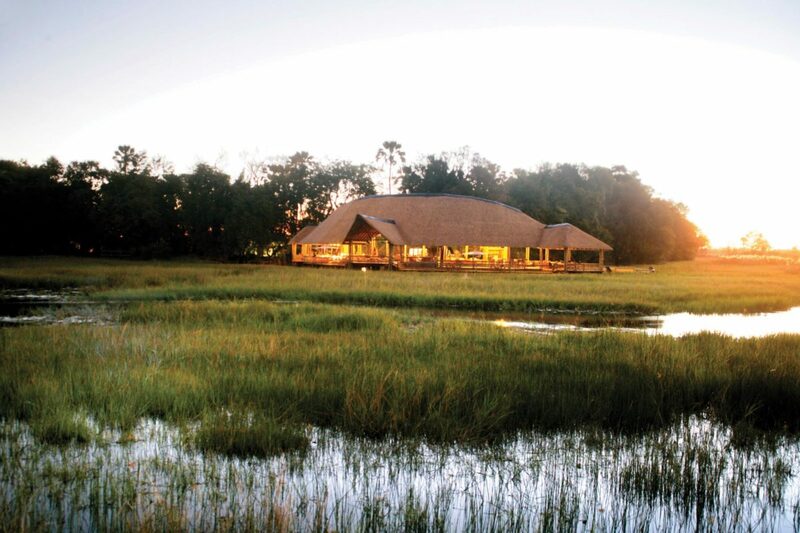 Moremi Crossing is a fairly large lodge by Botswana’s standards, with 32 beds. 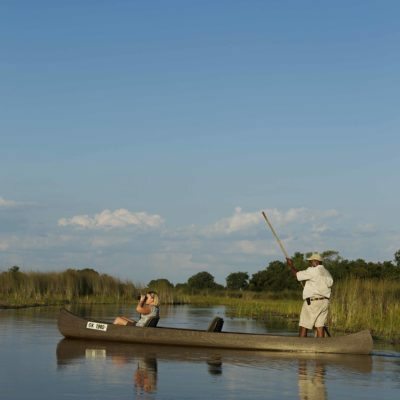 What this means is that it can offer a delta experience for a more affordable price. 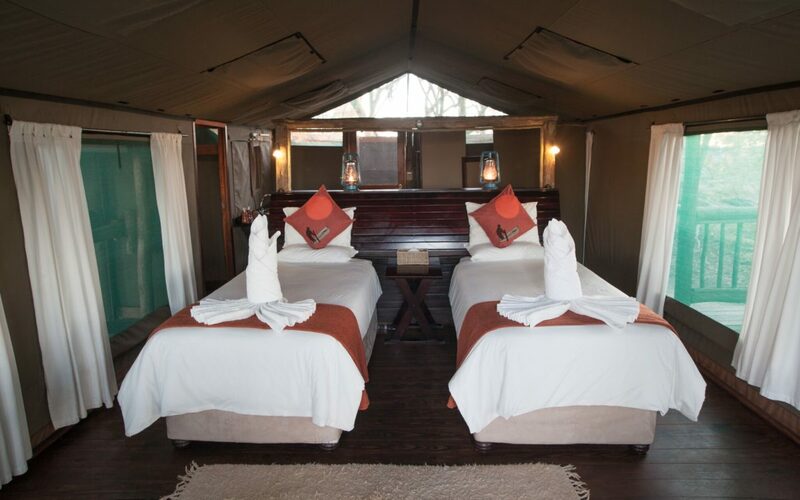 The lodge is new and modern and is fully functional on solar power for both electricity and hot water. 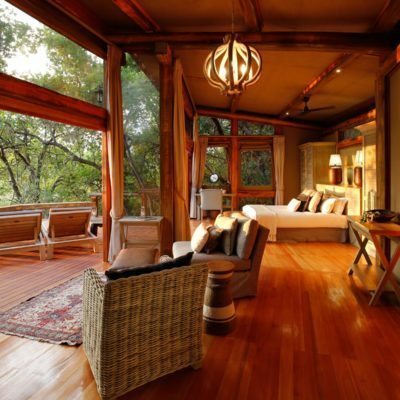 Waste removal is also state of the art. 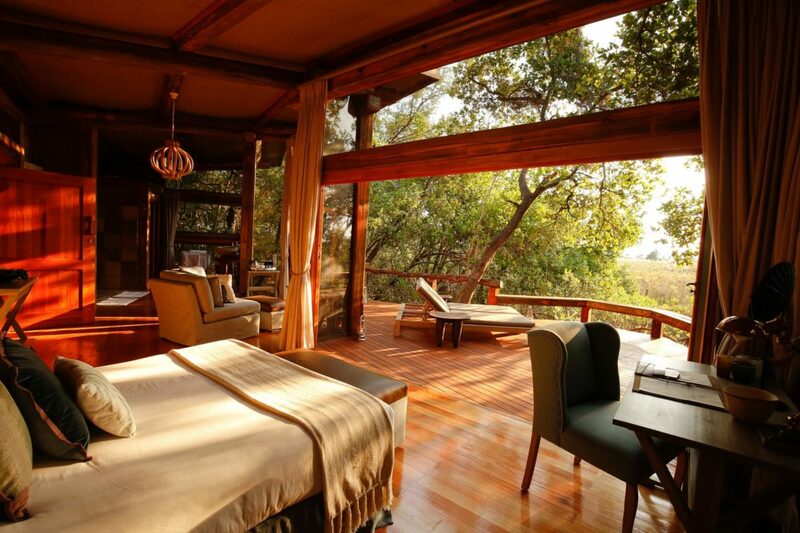 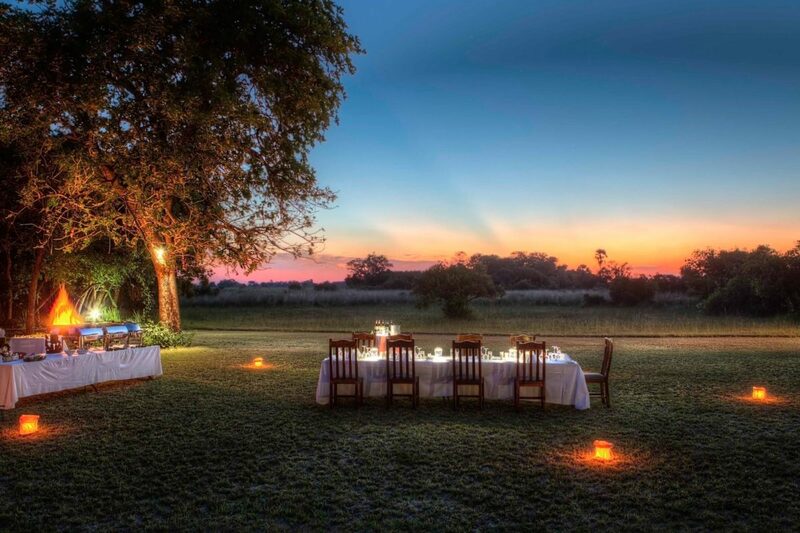 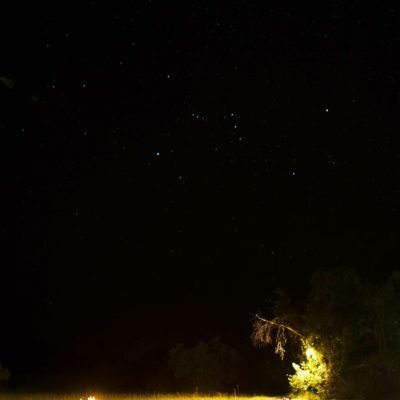 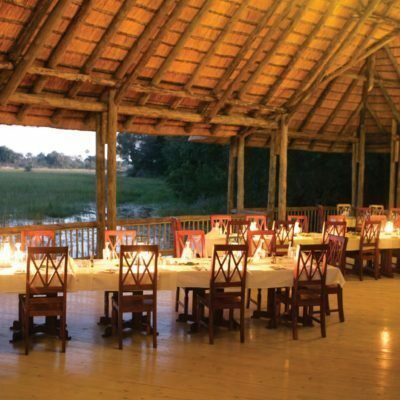 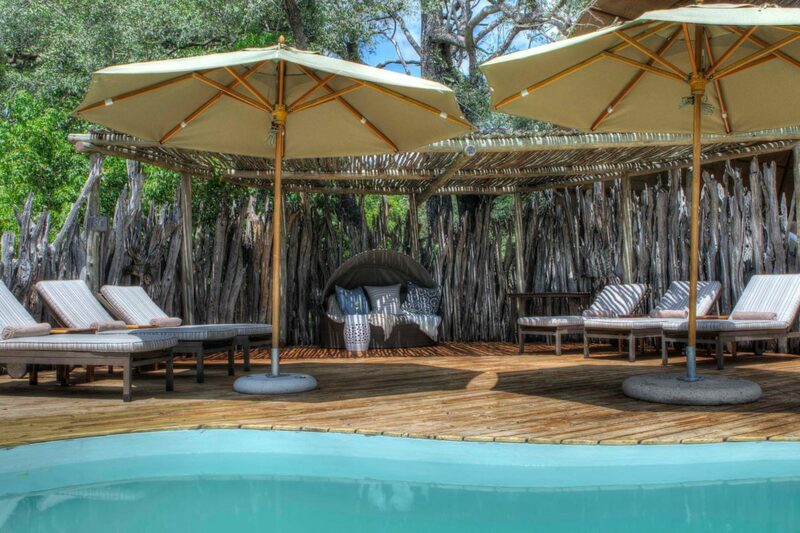 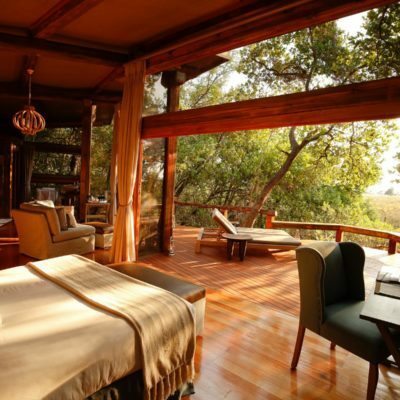 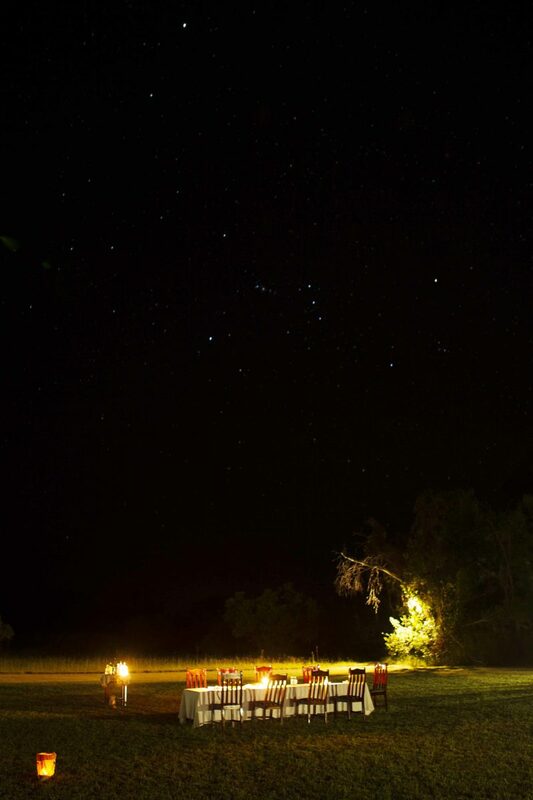 The location is beautiful – the island overlooks the Moremi Game Reserve. 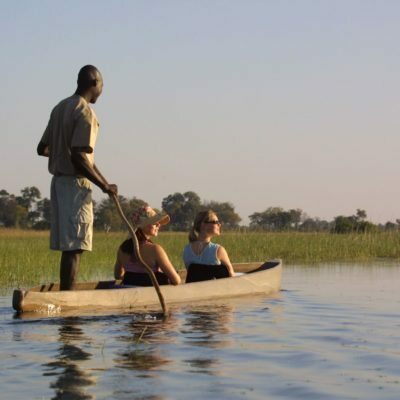 This is a “water Camp” with activities based around walking, mokoros and boating. 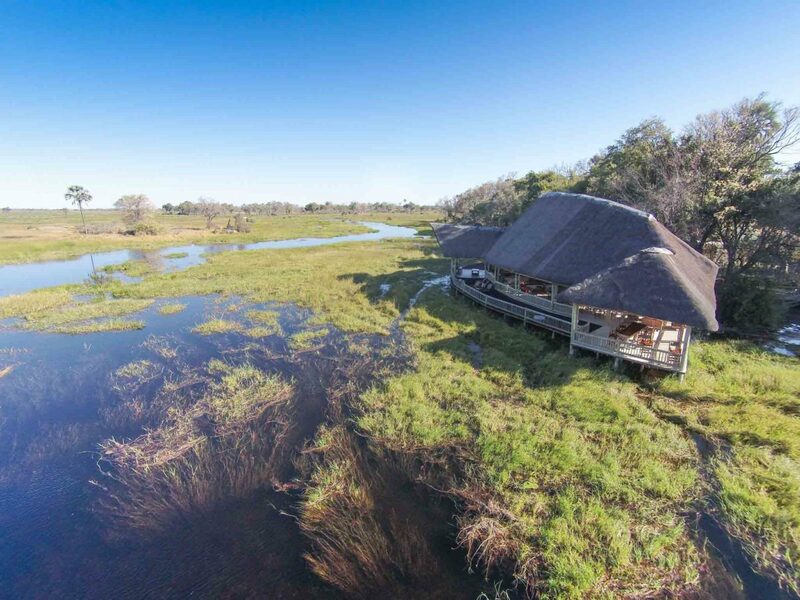 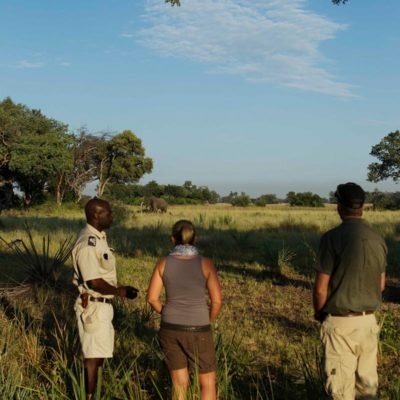 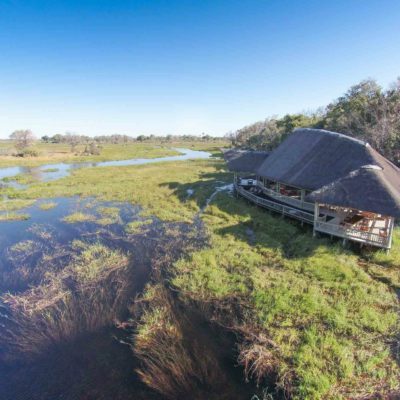 You can fly into Moremi Crossing – this lodge shares an airstrip with Gunn’s Camp. 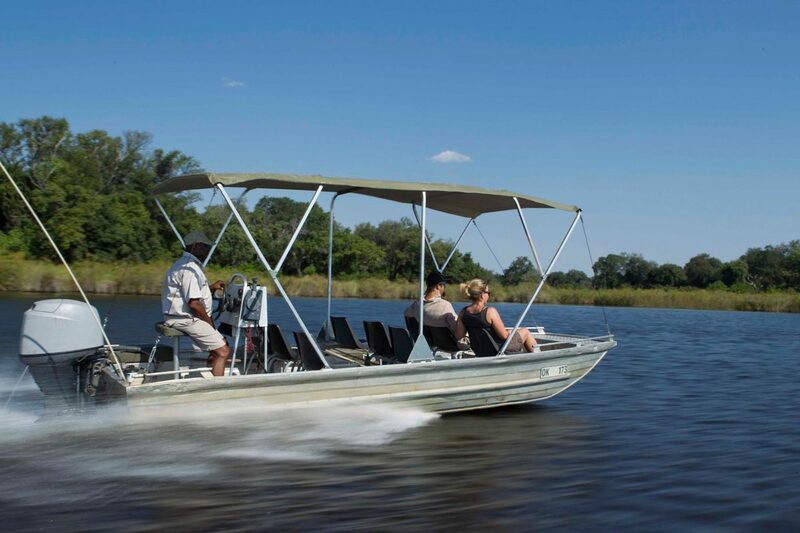 Even better, get to this lodge by boat from Maun – we use our safari boats for this amazing river transfer. 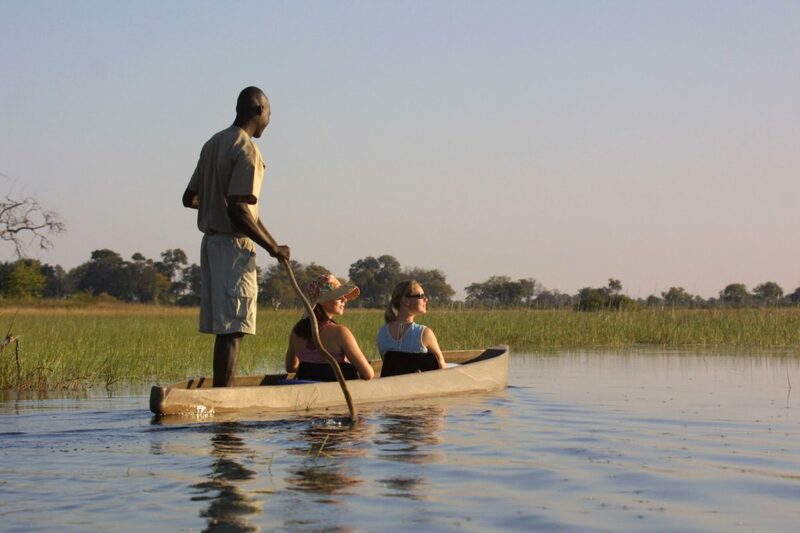 Walking, mokoro and boating are the activities on offer here. 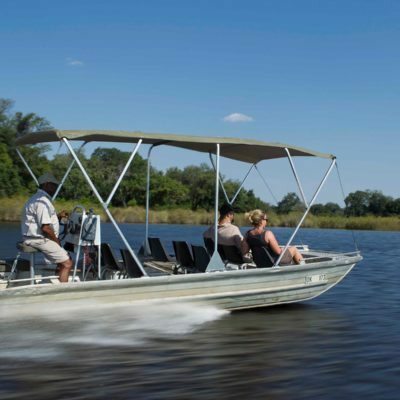 This area, as would be expected, is strong on the aquatic species – hippo, crocodiles, elephants and red lechwee antelope. 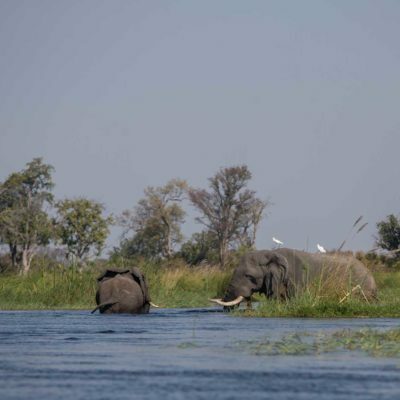 These are best seen from the boats and mokoros. 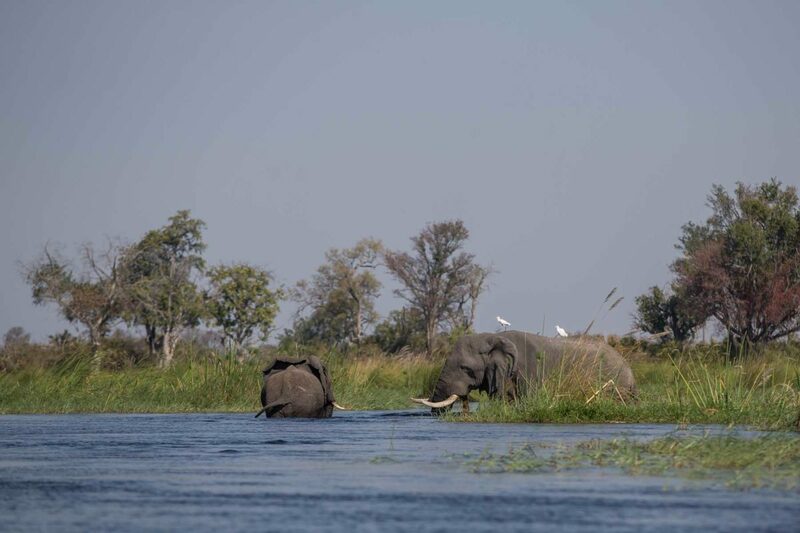 A highlight would be to see elephants crossing one of the many channels. 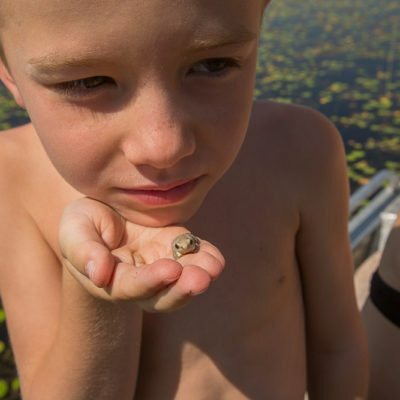 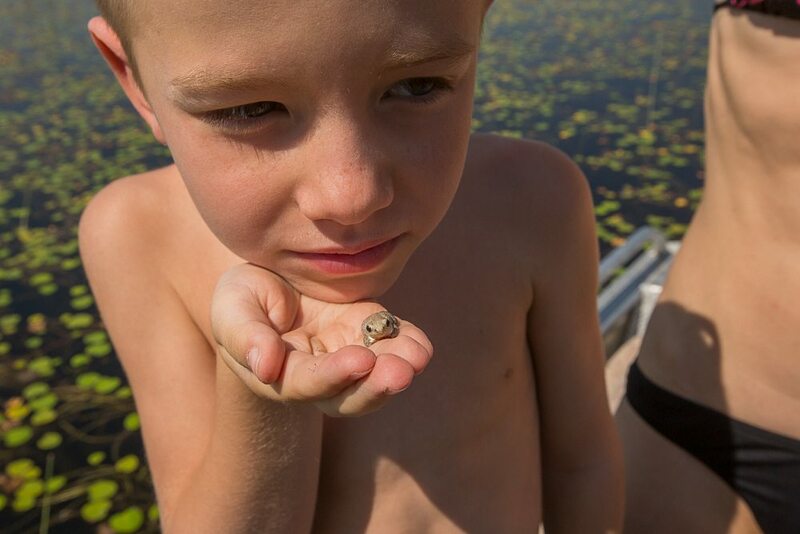 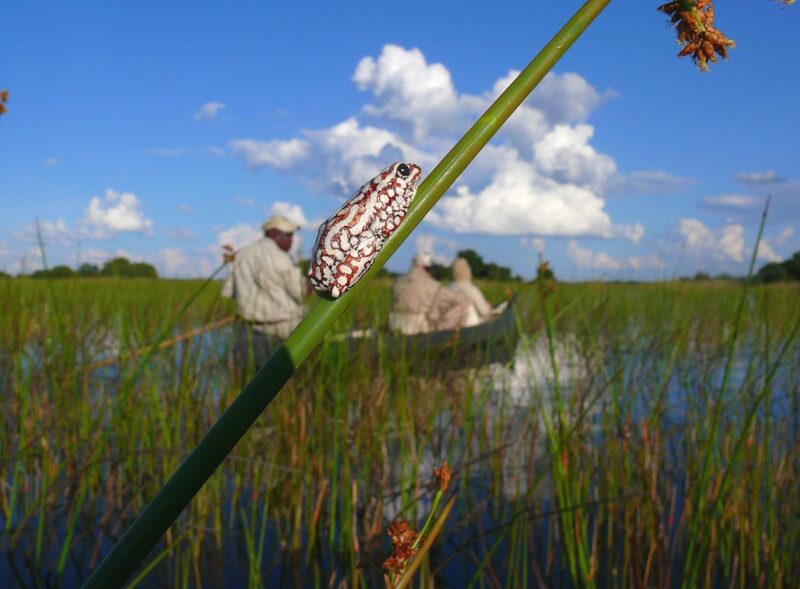 The mokoro activities here are excellent giving opportunities to photograph water lilies and reed frogs. 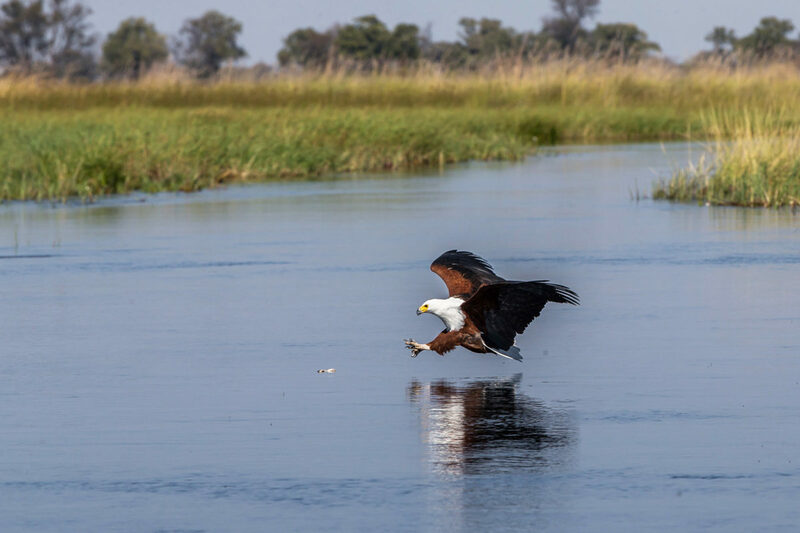 Predators are present, but not easily spotted on foot. 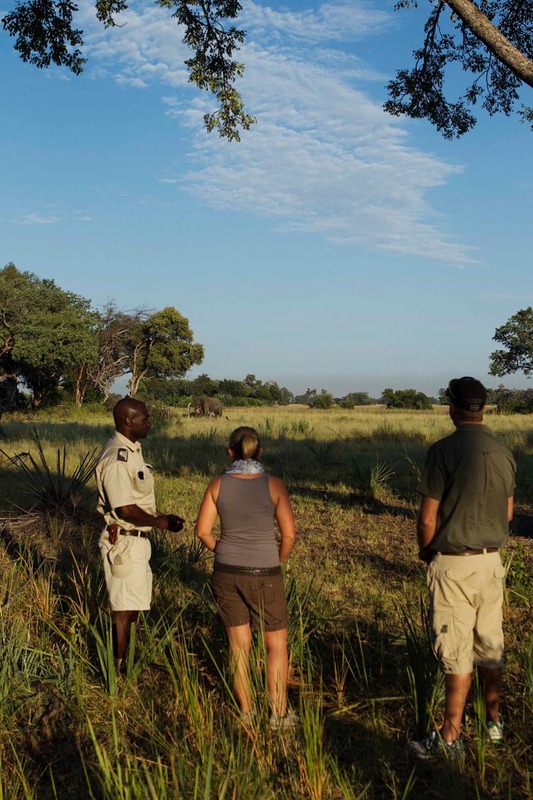 Walking guides lead guests on mokoros to nearby islands that are big enough for walking safaris. 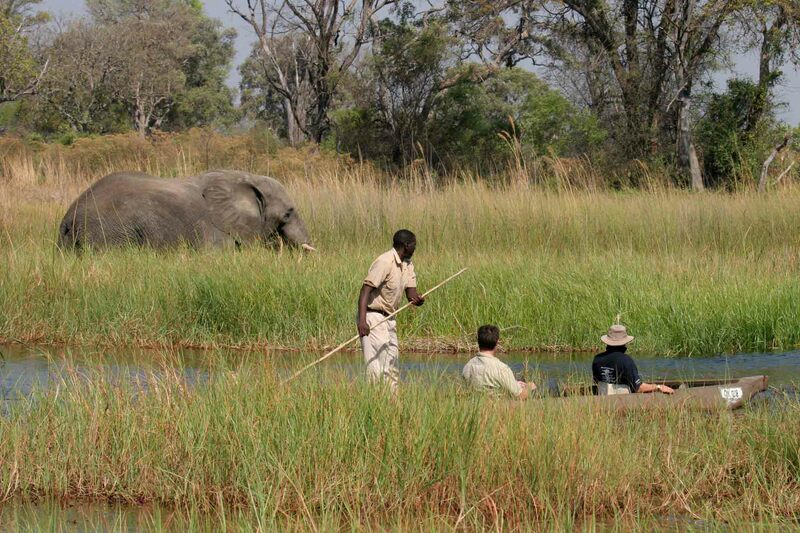 Note that guides do not carry rifles on walks out of Moremi Crossing. 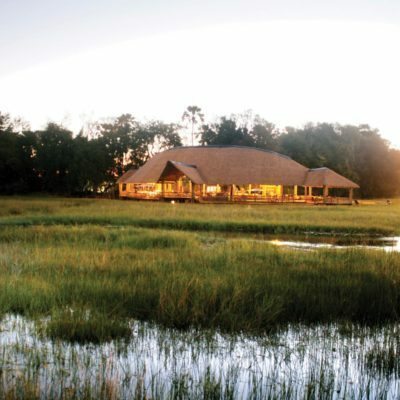 This lodge also offers “sleep outs” on Chief’s Island – using mokoros to venture deep into the Moremi Game Reserve to camp wild in the bush. 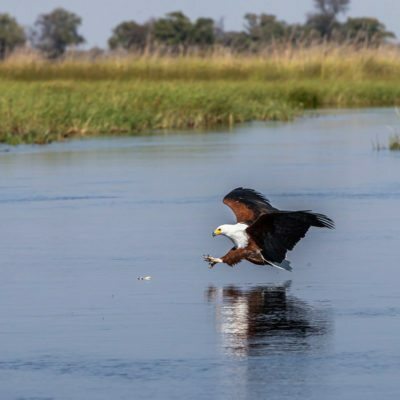 The area is excellent for birds – especially water dependent species. 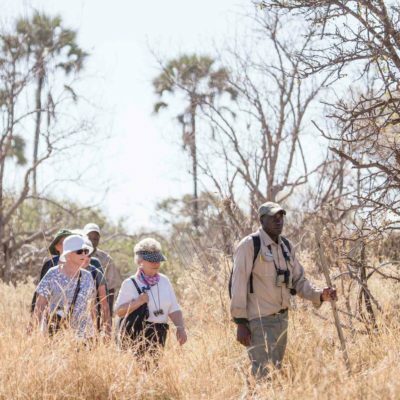 Winter is the best time to visit the camp if walking is what you want to focus on. 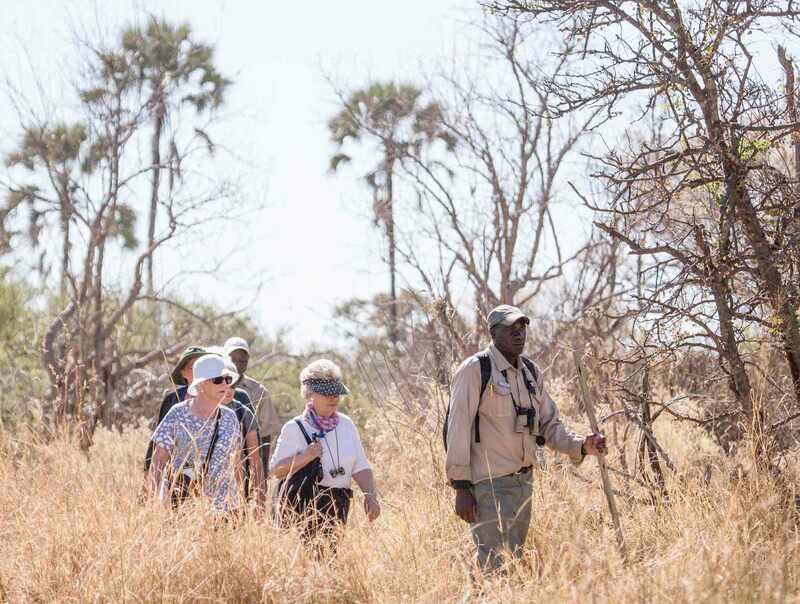 May through to August is best temperature wise and shorter grasses make walking more productive. 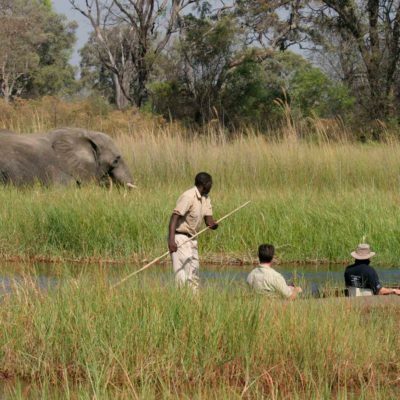 However, all activities are on offer all year. 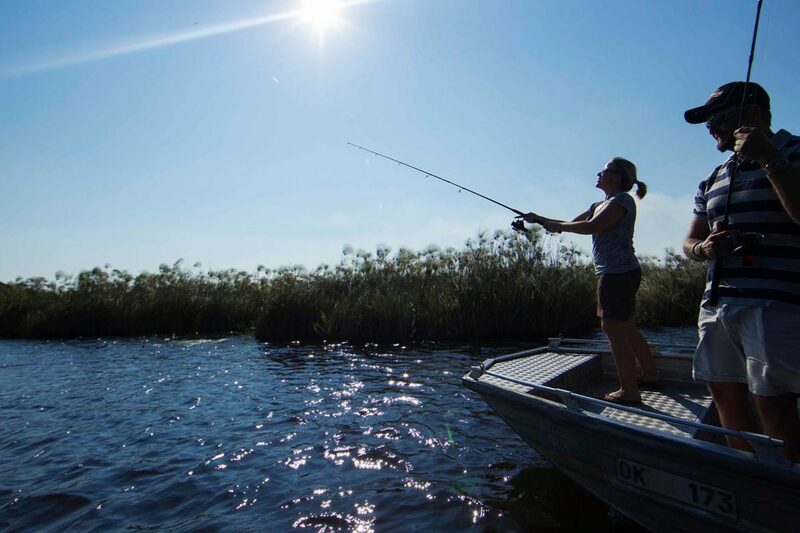 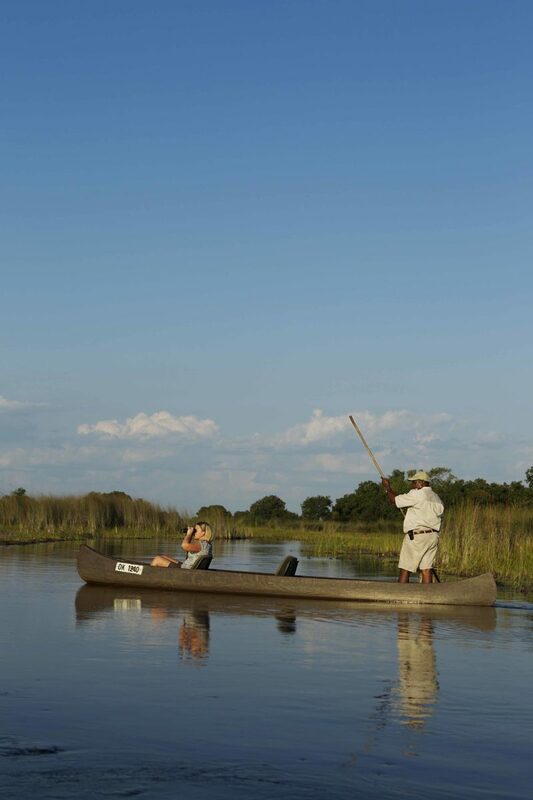 During “low water” months, the river and flood plains in front of Moremi Crossing can dry up (flood times vary greatly from year to year), so do ask us for advice on what activities may be suspended. 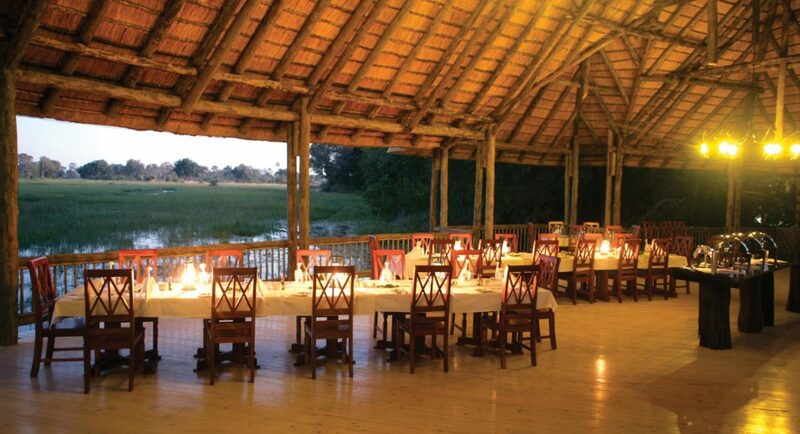 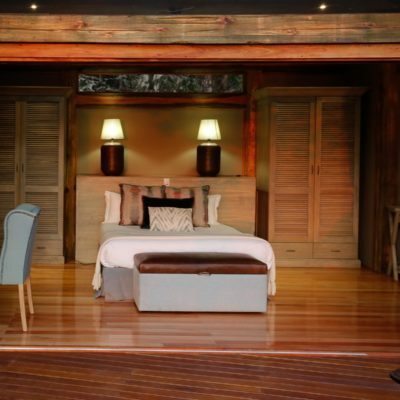 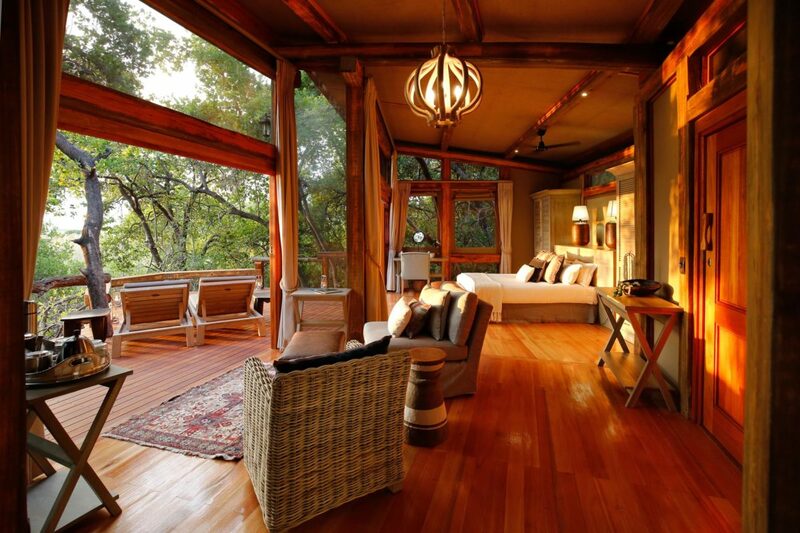 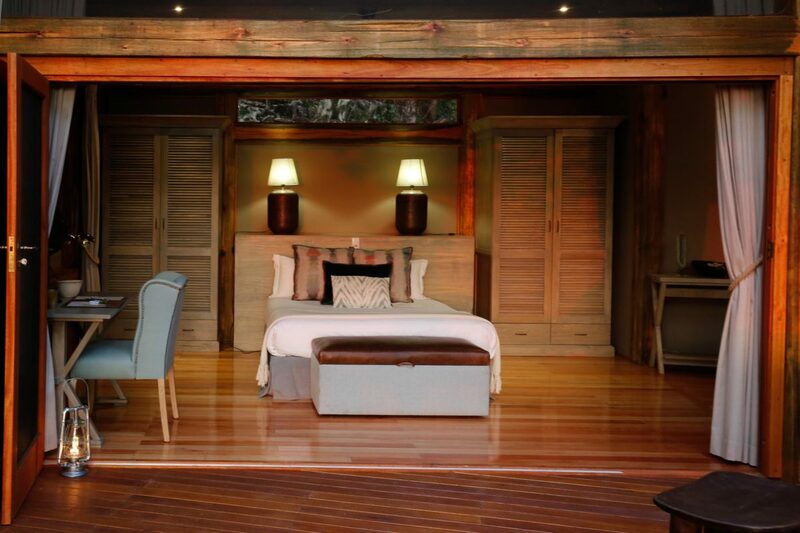 Moremi crossing is a relatively new and modern lodge, well built and eco-friendly. 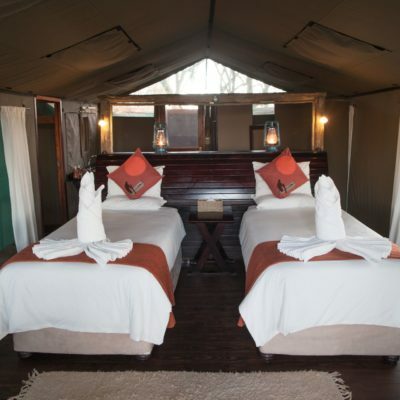 It is big (number of beds) but the tents are well spread throughout the whole island, so one does not feel like the lodge is over-crowded. 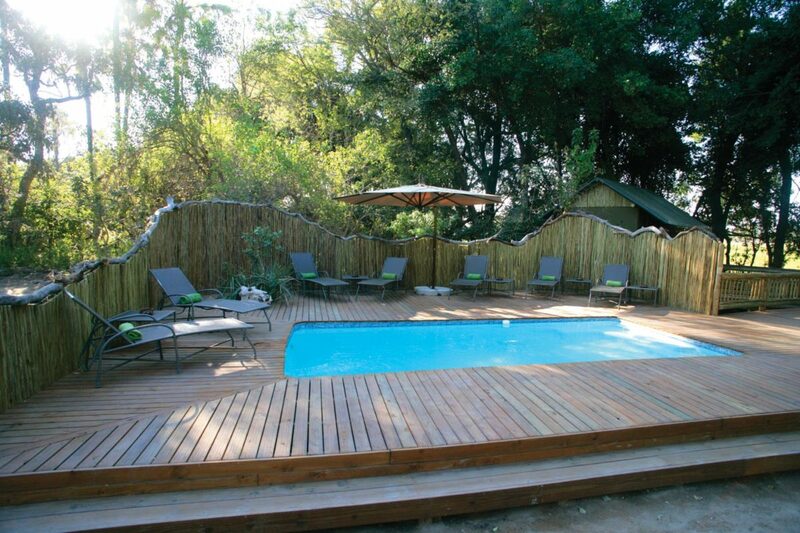 The main area is very spacious with all the usual comforts – a swimming pool, bar and comfortable lounge area. 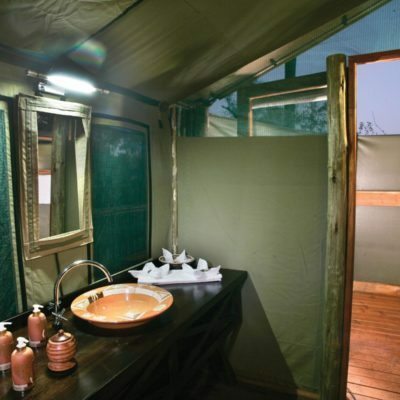 This is one of the biggest camps in the delta, in terms of the number of beds. 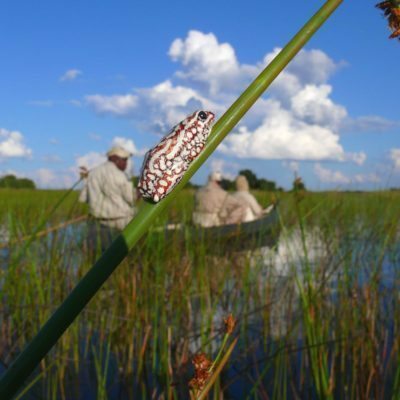 We make sure that everyone we send there is aware of this fact. 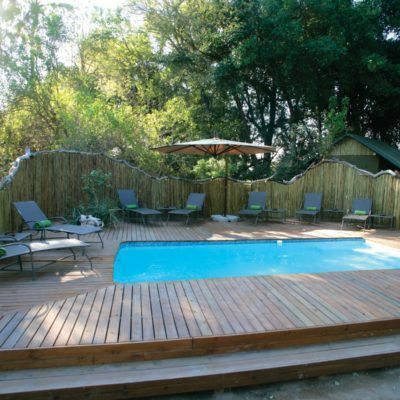 The bonus is that it is therefore a more affordable option for a camp right in the heart of the delta. 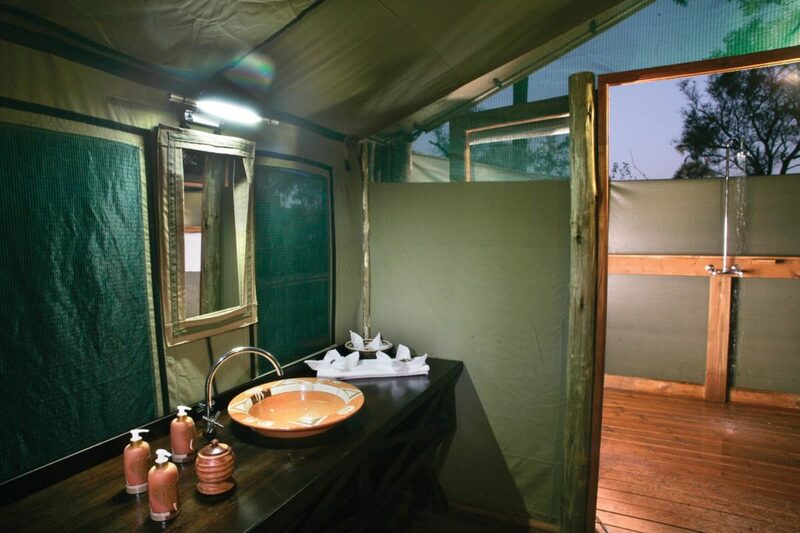 We like it because it is very eco-friendly, regardless of its size and capacity. 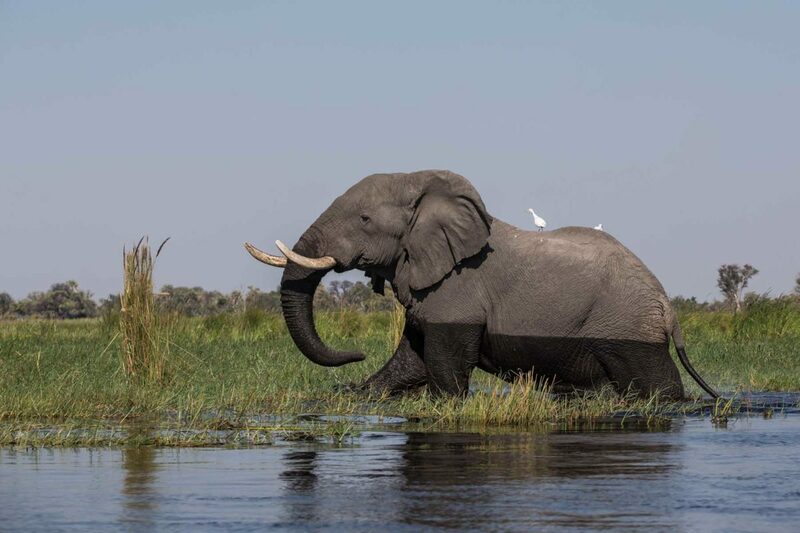 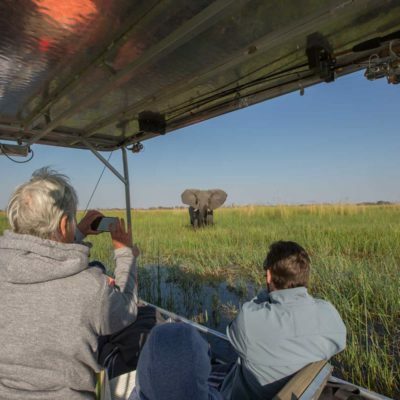 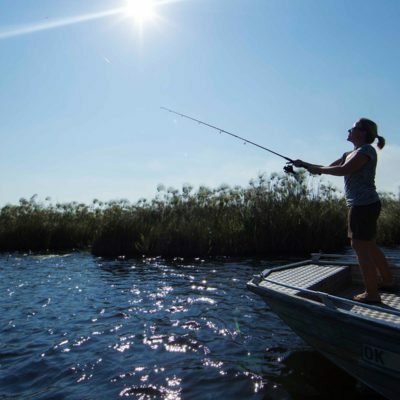 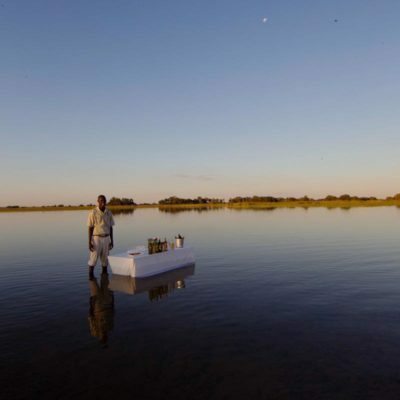 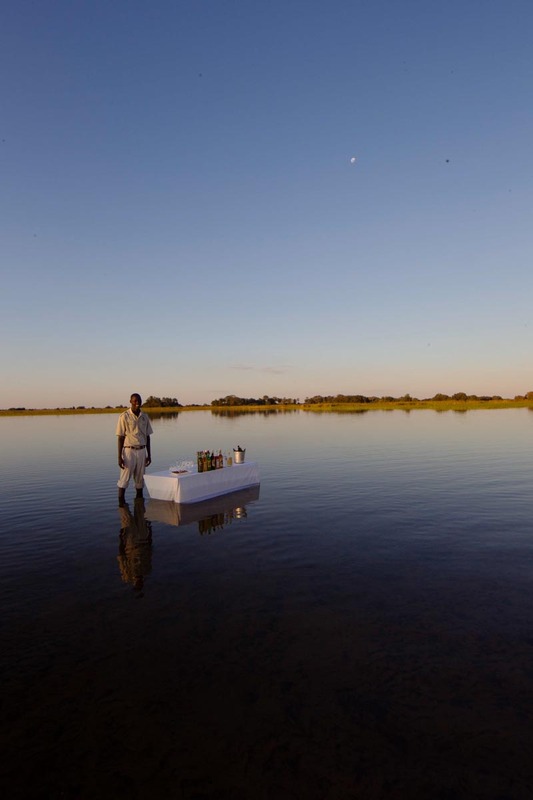 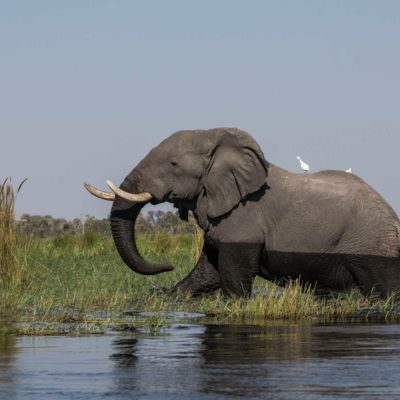 Further, we use it a lot on mobile lodge-to-lodge itineraries as it is accessible by boat from Maun and our guides can guide you there in our private safari boats. 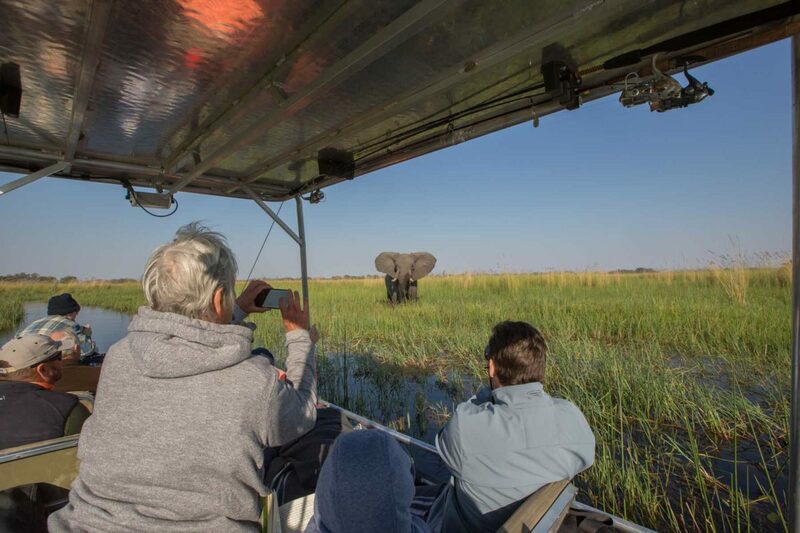 If you travel to Moremi Crossing independently (fly-in), be aware that you might be put on activities in groups larger than 10 persons – so the price is reflective of your experience. 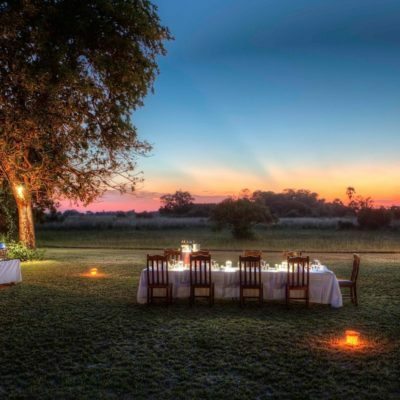 All the other standards in terms of food, privacy and the guided experience are pretty much “no-frills” in terms of quality.